FusionCloud Desktop virtualizes and centralizes PC computing and storage resources in the data center, creating a Virtual Desktop Infrastructure (VDI). Transport IT infrastructure into the future with Huawei FusionCloud Desktop Solution — offers flexible access, highly efficient O&M, and stringent data security. The Huawei FusionCloud Desktop Solution is an end-to-end virtual desktop solution. This solution deploys computing and storage resources (including CPUs, hard disks, and memory) in a cloud data center and converts the physical resources into virtual resources using virtualization technologies. Virtual machines of different specifications are created using the virtual resources and provisioned to users as required. The Huawei FusionCloud Desktop Solution applies to various scenarios, such as ordinary office work, Over-The-Counter (OTC) transactions, branch offices, call centers, and training centers. Huawei also provides tailored solutions to meet the needs of different industries. For small enterprises, Huawei offers the CompactVDI solution to enable quick deployment. The CompactVDI solution supports up to 100 virtual desktops using 1 to 2 servers. For medium-sized enterprises and enterprises with remote and branch offices, Huawei offers the FusionCloud Desktop Appliance Solution to enable quick deployment and easy O&M. This solution supports up to 2,000 virtual desktops using a set of Huawei FusionCubes. 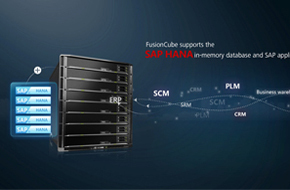 Multiple sets of FusionCubes can be deployed with Huawei FusionManager, which implements centralized management, to support a maximum of 20,000 users. 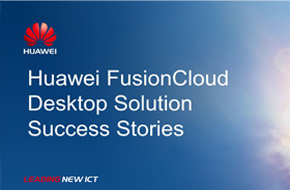 For large-scale commercial deployment, Huawei offers the FusionCloud Desktop Solution. 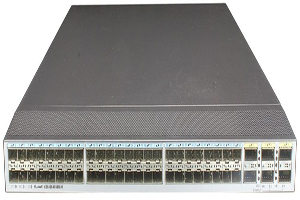 This solution supports heterogeneous hardware and offers high scalability. A set of Huawei FusionAccess supports up to 20,000 virtual desktops. For different scenarios, the Huawei desktop cloud solution optimizes high performance desktops to meet users' personalization requirements, providing superior experience. The TC-based SoftClient, SoftClient-split, and hardphone solutions ensure carrier-class voice quality. The perceptual evaluation of speech quality (PESQ) averages at 3.8. The lossless compression of non-natural images, along with the automatic identification of unchanged parts in images, ensures 4K HD display. 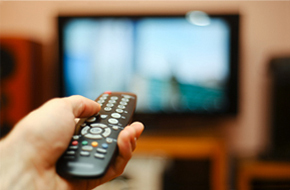 Intelligent video scenario recognition, dynamic video data auto-adaptation and frame rate adjustment, multimedia redirection and video hardware acceleration redirection technologies, as well as TCs with video decoding capabilities provide smooth HD video experience. GPU passthrough/Hardware virtualization technology meets the performance requirements of professional drawing applications, such as AutoCAD and ProE. Server-based computing (SBC) facilitates centralized application deployment, remote release, and mobile OA. 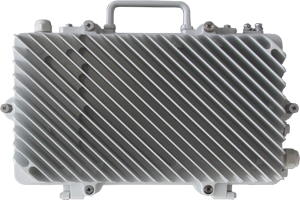 The solution is compatible with 5000+ service systems, 500+ peripherals, and 50+ TCs. The Huawei FusionCloud Desktop Solution supports integrated hardware and software optimization, simplifies operation and maintenance (O&M), and balances the enterprise IT O&M cost and efficiency. Service deployment duration can be reduced to 0.5 hours to achieve rapid service rollout and capacity expansion, and resources can be flexibly scheduled to meet service scalability demands. These features help improve IT service support capabilities and response speed. A unified O&M management platform enables unified management of physical and virtual resources, desktop cloud services, faults, and alarms. Various O&M automation tools provide automatic one-key collection and analysis of office environment information (CPUs, memory, and disks), health checks, user experience optimization, automatic user data migration, performance data collection and analysis, self-maintenance, and one-key log collection. These tools simplify O&M and improve O&M efficiency. Automatic capacity expansion and hardware power-on automatic detection facilitates flexible and rapid expansion. Linked clone and full memory desktops improve user experience and management efficiency. The desktop self-service enables enterprises to perform efficient and self-service management. Huawei's core software has independent intellectual property rights. Open standard interfaces are compatible with various industry applications, and solutions can be rapidly customized to meet industry requirements. Terminal Security TCs are authenticated to prevent unauthorized access. Terminal port management covers USB ports, serial ports, and parallel ports. Some ports can be disabled. For example, USB read and write can be disabled to prevent unauthorized data copy. TCs have no hard disk to store data. Data is stored in the data center to prevent data leakage Ensures secure client access and control over port data policies. security Fingerprint login authentication is supported. USB key login authentication is supported. Dynamic password login authentication is supported. Binding between TCs and user accounts is supported. Users can access desktops only from specified places. Third-party authentication system interconnection is supported. Offers a variety of access control methods, ensuring maximum data security. Portal over HTTPS is supported. All transmission from the portal is encrypted. HDP over SSL is supported. Information between clients and servers and between internal components of the desktop cloud system is transmitted over SSL. This ensures information transmission security. System data, including passwords, keys, and sensitive data (such as domain password) is encrypted for transmission. Allows information to be encrypted by different methods, making transmission secure. Network security The internal network is physically isolated from external networks. Remote access is secure. Employees on business trips can access their enterprise's data and application over SSL-VPN. Internal and external network isolation prevents data from being transmitted to external networks. The dual-port cloud client is configured with two physical NICs. This feature, along with dual-screen display, ensures the isolation and display of virtual desktops on two isolated physical networks. Improves security of the virtual desktop data and enhances user login security and reliability. Cloud platform security The desktop cloud system is hardened, and the Linux operating system can be customized and hardened. Security patch delivery and upgrade are centrally managed. VM live migration is supported to enable seamless handover of services when a VM becomes faulty. Distributed storage and automatic backup are supported for data. Large files can be fragmented and stored in different physical areas. When a physical storage device is damaged, the data can be restored using the backups stored somewhere else. VM snapshots can be provided based on the storage virtualization capability of the computing side. The snapshot function is independent of storage devices Ensures security and reliability of the FusionCloud desktop management system and VM user data. Data security Data disks are encrypted to prevent data theft. Data is completely removed from a deleted VM to prevent malicious users from using data recovery software to restore data. Each virtual desktop has its own logically independent VM. VMs are isolated in a way similar to that physical PCs are isolated. Only the authorized user can access the VM. Desktop security watermarks prevent users from photographing virtual desktops. User VMs are compatible with various antivirus software to protect user VMs against virus attacks. The virtualization layer prevents virus attacks Prevents user data theft and malicious use. Antivirus software is installed on management systems. Supports security hardening for the management system and the OS of the management server to ensure security of the entire desktop cloud management system. Management node redundancy Management nodes are deployed in active/standby mode. If a management node VM fails, the VM can be automatically recovered. Memory, CPU, and hard disk status of management nodes can be monitored automatically. Ensures service continuity. Management data is automatically backed up. When configuration data is lost or damaged, the backup data can be used to quickly restore the desktop cloud system. VM HA mechanism The desktop cloud system monitors the VM operating status in real time after HA is enabled. When detecting that a PM is faulty, the system automatically migrates its VMs to a server that is running properly. This HA mechanism ensures quick recovery of the VMs. Shortens the desktop fault recovery time, ensures service continuity, and improves work efficiency. Individual users can manually or periodically back up important data to the backup system. If virtual desktop data is lost due to faults, such as disk damage and unexpected deletion, users can restore data using the data in the backup system. Two backup modes, network attached storage (NAS) backup and eBackup backup, are supported. Provides backup and data recovery options as a key service that preserves user data. Supports automatic desktop reconnection in the event of network failures or other faults. Supports desktop connection interface negotiation and protects desktop agent software from being deleted by mistake. Ensures system reliability by minimizing service downtime and limiting the impact of a fault. Server performance monitoring The automatic hardware diagnosis function enables the desktop cloud system to monitor hardware status in real time. When detecting a fault of a hardware component, the system automatically isolates the component, performs a switchover, restarts the component, and reloads software to it. Shortens service interruptions to improve service system reliability. When a VM fails to be started, its disks can be mounted to another VM. The user can log in to the new VM and back up disk data. By default, the temporary VM to which the disk is mounted will be retained for a maximum of seven days. Seven days after the disk migration, the system automatically deletes the temporary VM. The disk retention duration can be set during disk migration. Ensures system reliability by minimizing service downtime and limiting the impact of a fault. A black box is embedded in the desktop cloud system to collect system logs automatically. When a fault occurs in the system, the black box collects dying gasps in the system. Provides a record of the system information to assist maintenance personnel in locating and rectifying the problem. Carrier-class voice quality SoftClient-split, TC-based SoftClient, and hardphone solutions are supported, providing high voice quality with a low delay. The delay is less than 500 ms and the PESQ averages 3.8. Mainstream IP call center software, such as CosmoCall Universe ™ and Avaya ™ are supported. Provides carrier-class voice quality and helps build a reliable, environmentally-friendly call center system featuring centralized management. 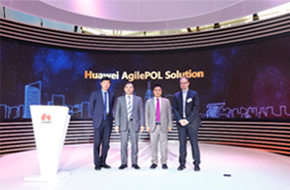 The Huawei desktop cloud solution provides GPU passthrough and hardware virtualization solutions to support high-performance 2D/3D graphics processing and be compatible 2D/3D graphics software such as AutoCAD, Revit, 3DS MAX, ProE, and Greo. 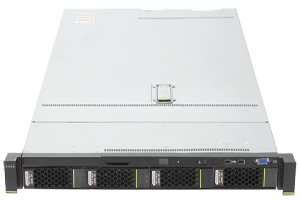 100 Mbit/s HD video editing The GPU passthrough solution, with the Huawei Desktop Protocol (HDP), supports 120 Mbit/s HD video editing. Meets omnimedia editing requirements. Video rendering and 120 Mbit/s HD video editing are supported on cloud workstations. 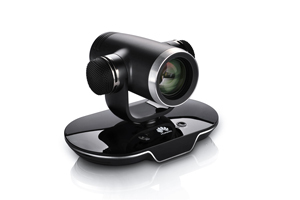 Multimedia playback Multimedia redirection, with video decoding capabilities on the client, provides users with smooth playback experience. HD video playback is supported. The Video Hardware Acceleration Redirection feature is supported. On Windows 8.1 or Windows Server 2012 R2, videos that were originally accelerated by video hardware can be redirected to the client for decoding, improving the video playback quality. Compared with multimedia redirection, the Video Hardware Acceleration Redirection feature supports more file types and video formats. This function allows flash to be redirected to clients for processing, improving the multimedia experience. Local 4K video playback Delivers a multimedia experience rivaling that of a local PC. 4K (3840 x 2160) screen display Provides HD display experience. Increased peripheral compatibility supports USB port mapping, camera mapping, printer mapping, TWAIN mapping, and smart card mapping (PC/SC). Windows Server native gestures improve user experience Centrally deploys and remotely releases applications to provide quick deployment and centralized O&M and protect data security. VIP desktop CPU and memory guarantee and real-time monitoring are provided for VIP desktops so that VIP desktop users can enjoy better desktop experience. Ensures the use experience of key customers. Unified printing Third-party network solutions are integrated to enable unified VM printing. Reduces resource usage and improves user experience by removing the need for driver installation. Device mapping and port mapping modes can be used to support multiple dedicated peripherals, control virtual desktops, and share local resources. More than 300 peripherals are supported, including USB flash drives, USB printers, scanners, USB cameras, USB keys, and fingerprint readers Delivers an experience using multiple peripherals equaling that of a local PC. Virtual desktop task management Scheduled tasks can be created to create, start, shut down, restart, wake up, or hibernate VMs in batches. Scheduled tasks, periodical tasks, and task policies can be configured Improves maintenance efficiency by automating VM management. Desktop system monitoring FusionSphere monitors virtual resource clusters, server hosts, and VMs in real time. Hardware and software resources can be displayed in graphs. FusionAccess monitors VM CPU, memory, and network resource usage, and allows administrators to query VM status, unused VMs, and user login information. Reports can be exported, and northbound APIs are provided to facilitate self-service monitoring. Improves resource management efficiency by allowing administrators to reclaim idle resources. Desktop management components ITA, WI, HDC, DB, and License can be deployed in the Linux OS in a one-click or step-by-step manner. Wizard-based ITA initial configuration A wizard guides users through the ITA initial configuration. Initial information such as virtualization environment, domain, desktop component, and alarm component information is automatically configured after proper information is entered based on the wizard Simplifies the initial configuration and improves efficiency. FusionManager integrates desktop cloud service management, virtualization platform O&M, and hardware management functions. Improves O&M efficiency by using a unified management WebUI. Wizard-based VM template creation automatically completes desktop agent program installation, system optimization, and parameter configuration. Administrators can upgrade management systems in batches by running the upgrade tool on a PC or laptop without logging in to the server or VM where the management system is installed. 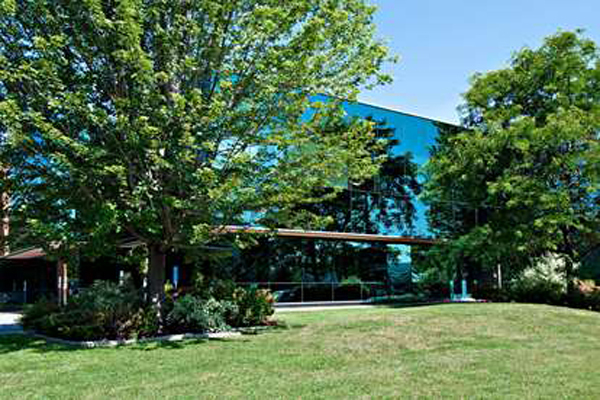 Rapidly upgrades virtual desktops and improves O&M efficiency. The user experience optimization tool library provides the following functions: risk check, system optimization, audio optimization, query of historical performance cases, and software compatibility check. Improves O&M efficiency and reduces costs. Branch office management The branch office networking supports local deployment of remote modules. 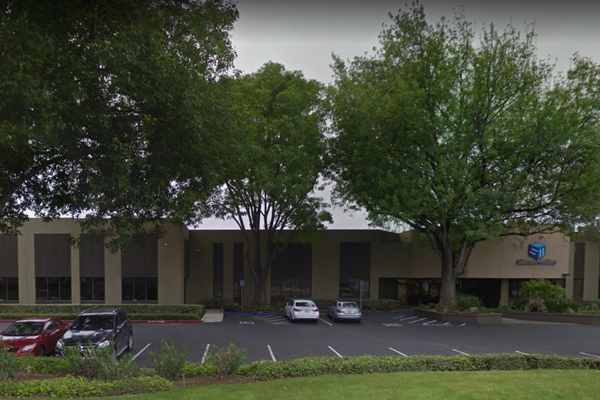 The VMs of branch offices can be provisioned and maintained in a unified manner, including hardware management and monitoring, virtual resource management and monitoring, centralized alarm and operation log management, single sign-on (SSO), and TC management. Implements centralized virtual desktop O&M and desktop service provisioning in branch offices. 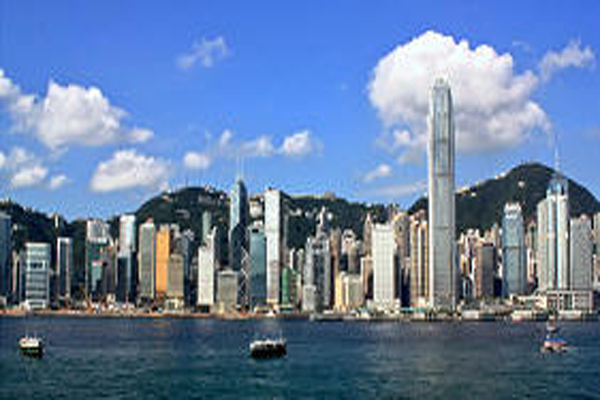 Unified Huawei desktop agent (HDA) software upgrade The desktop cloud system supports automatic HDA software upgrade. The desktop cloud system supports multiple upgrade modes, such as silent upgrade by using the PV driver, AD group policy upgrade, and upgrade by updating the linked clone parent volume Facilitates efficient software updates and management from a central location. User self-service maintenance console Users can use the self-service maintenance console to rectify faults when they fail to log in to VMs. Ensures convenient and quick maintenance, reducing system administrator workload. O&M tool A whole range of tools are provided to collect desktop system planning information. Log analysis tools are provided to analyze FusionAccess logs. Health check tools are provided to perform system health checks, display check results, and generate health reports. Improves project planning and O&M efficiency. Lazydesk Users can use virtual desktops after powering on the TCs Provides the same login experience as PCs. When a virtual desktop screen is locked, the local monitor is automatically shut down and enters sleep Reduces energy consumption without affecting conference or video playback experience. System disks of VMs reside in the memory so that VM disk read/write operations are converted into memory operations, which improves user experience. VMs can be restored after shutdown. Improves management efficiency in public places such as schools, training institutions, and hotels. User experience exceeds that of a local physical machine. Memory overcommitment Hypervisor scheduling enables memory overcommitment without affecting user experience. Allows VMs to use more memory than the space available on the physical host without deteriorating user experience. Linked clone A shared read-only parent volume is used to provide the original VM OS, which reduces the system disk space usage and system disk capacity configuration. Linked clones also support unified software upgrades and system restoration. Reduces deployment and maintenance costs, improving desktop maintenance efficiency. Smart cache (iCache) In linked clone virtual desktop scenarios, iCache technology is used to dynamically identify and cache user shared storage resources and parent volume hotspot data in the memory, which greatly improves data access performance. Improves I/O performance and accelerates batch VM startup. DRS policies define scheduling thresholds and the effective periods in a cluster. In the effective period, if the CPU load of a computing server exceeds the scheduling threshold, the system will migrate some VMs to other computing servers with a low CPU load. Ensures CPU load balance among computing servers. to provide sufficient VMs. Allows the system to be energy-saving and eco-friendly. System management interface With FusionManager northbound interfaces, enterprises can incorporate their desktop cloud system into an upper-layer management system. This facilitates centralized management of the cloud platform and allows for optimal use of cloud platform resources. Enables third-party upper-layer management systems to centrally manage and maintain the cloud platform. Service provisioning interface Users can customize service provisioning portals by using the virtual desktop service provisioning interface provided by FusionAccess. Enables the desktop cloud system to interconnect with third-party management systems. In spite of its many perceived benefits, virtual desktop infrastructure (VDI) has yet to fully gain traction and still remains a niche market. After well over a decade since its early introduction, VDI has faced challenges when it comes to truly duplicating the local desktop and competing on cost. The introduction of cloud-based computing models for VDI (known as desktop as a service or DaaS) now offers a combined benefit and challenge to the IT decision maker. Whereas on-premise data center-hosted VDI represented a known model that has been tested and refined over the years, cloud-based VDI is the new kid on the block and has yet to effectively prove itself. So why would anyone consider adopting a VDI-based approach to desktop computing? Well, on paper, the expected benefits seem quite compelling. Will they pan out in the long run? To begin, take the scenario of patch management. In VDI, patches and software updates can be distributed in a centralized and simplified manner, because IT no longer needs to manage the individual deployment to each unique computer. The deployment can also occur from a centralized management console. Updates need not be solely to desktop PCs, but also can include mobile devices and thin clients. A centralized server-hosted virtual desktop (SHVD) infrastructure also provides the benefit of simplified backup operations. With proper infrastructure and bandwidth in place, such an approach will minimize the network congestion of backups that would otherwise occur from a myriad of desktop systems. VDI also enables IT to provide higher security control and compliance. Servers can now be locked down and secured in a more manageable manner, with less risk to local desktop vulnerabilities. For example, administrators can provide central security policies that apply to all users and minimize the malware footprint, should there be an infection. The desktop can be re-commissioned from the base image when problems arise. Harnessing the power of server pools that are unseen to the end user, VDI offers the benefit of more effective use of centralized computing capacity. This can translate in real dollars to a diminished need to purchase new hardware and the additional associated software, licensing, and support costs that are seen in capex and opex dollars. As one scenario, older desktop hardware (with sufficient native capacity) can be retained and used as thin client devices for users who are working on general-purpose tasks that do not require high-end client devices. Another important benefit that VDI provides is the ability to access desktop from remote locations, and with different computing devices. This can be a very accommodating feature for remote and mobile workers who do not really have a fixed work location. With many VDI solutions, the active desktop state can be preserved, enabling users to pick up right where they left off. 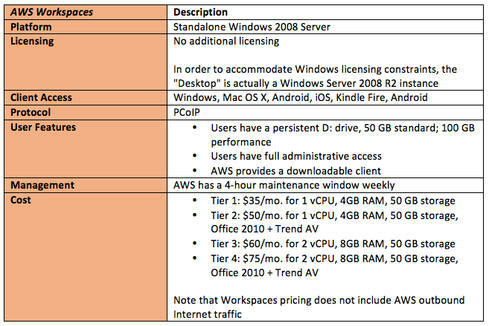 AWS offers Amazon Workspaces as its VDI solution. Workspaces represents a cloud-based managed desktop computing service, Amazon's DaaS model for VDI. Workspaces is a recent entrant into the VDI space. Amazon WorkSpaces can integrate with a company's existing Active Directory infrastructure and enable users to provide their existing credentials to access their Amazon WorkSpace. Users also have the flexibility to install their own applications or use applications available through Amazon WorkSpaces, such as the Microsoft Office suite, Mozilla Firefox, and Adobe Reader. Amazon Workspaces licenses the Teradici PCoIP (PC-over-IP) protocol to compress, encrypt and minimize network data transfers. While this protocol is also licensed by other VDI solutions, in addition Amazon has deployed its own SDX (Streaming Experience) protocol, a UDP-based protocol to minimize network chatter. Additionally, Amazon Workspaces supports desktop state persistence that provides a desktop anywhere model. The WorkSpaces Sync client also enables users to synchronize documents between their Amazon WorkSpace and other computers. Workspaces also provides support for USB devices, with the exception of printing. 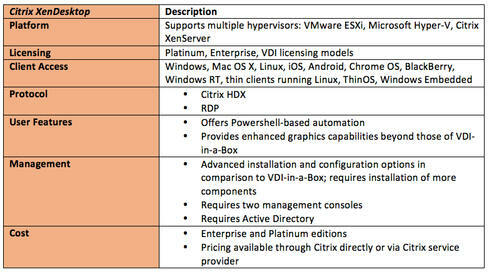 Citrix provides two options for customers seeking VDI: VDI-in-a-Box and XenDesktop. 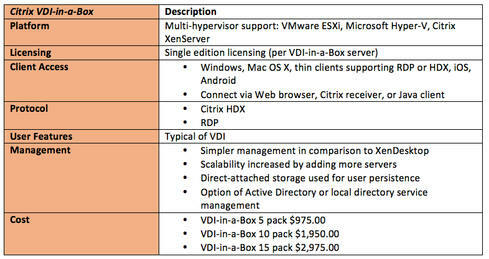 Citrix VDI-in-a-Box is targeted at SMBs considering VDI. It's an all-in-one software solution in which a grid of off-the-shelf servers is created, running on a hypervisor of choice. VDI-in-a-Box employs direct-attach storage instead of shared storage. This solution offers low capital expense at less than $500 per virtual desktop for software and licensing. Citrix XenDesktop is geared at enterprise customers. XenDesktop packages OS, applications, and user profiles centrally in a data center and assembled as virtual desktops for users. The installation, configuration, and maintenance can become advanced for IT staff. Citrix provides a unique capability extension to XenDesktop, called Personal vDisk. This feature is supported via XenDesktop or VDI-in-a-Box. In traditional VDI, IT often has to make a choice between centralized management and meeting the needs of demanding users. Pooled desktops are a benefit to IT central management, but limit the customization capabilities and persistent storage requested by power users. On the other hand, dedicated VDI desktops can make power users happy, but at the cost of increased IT management and scale. Citrix offers a hybrid option in Personal vDisk. This feature provides features of pooled desktops and dedicated VDI desktops. Deployment still comes from a common image, however the profile customization can be extended. Users can now install apps onto a personal vDisk that maintains persistence. Session-based desktops: These were formerly known as Terminal Server. They enable multiple user sessions running on one copy of Windows. There is isolation between user sessions, and user data can be restricted with proper configuration. VM-based pooled or personal virtual desktops: These run atop a hypervisor and enable the choice of centralized (pooled) desktops or individual (personal) desktops. 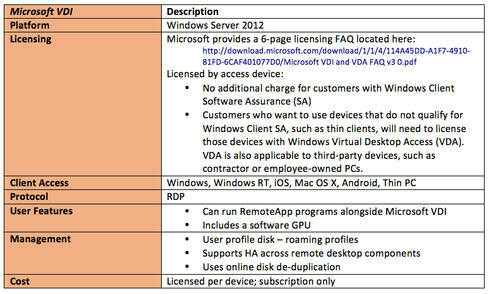 Microsoft offers VDI through Windows Server 2012. Service providers and vendors that provide VDI solutions using Windows must support the Microsoft licensing model. While Microsoft does not officially market a DaaS solution, it provides the Microsoft Azure RemoteApp solution to serve remote applications and provide some of the typical DaaS capabilities, except for the desktop itself. Microsoft RemoteApp provides the ability to seamlessly make a single application available to a user, instead of the entire desktop. VMware offers the Horizon DaaS platform as its DaaS solution. This product is based on the former Desktone product, following the acquisition of Desktone by VMware in 2013 (incidentally, Desktone trademarked the terms "Desktop as a Service" and "DaaS").